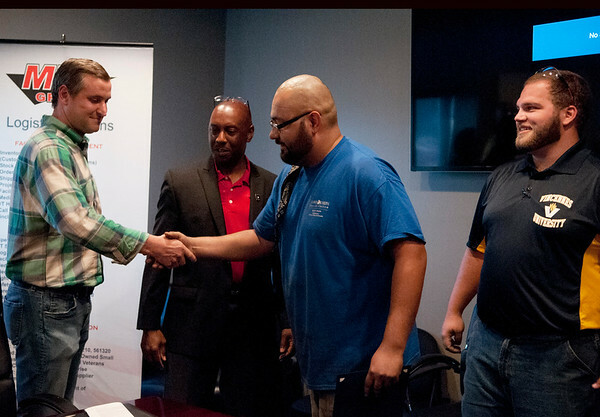 Matt Moreland, General Manager of Lippert, shakes hands with Elmer Garcia, Chicago, while Garcia receives his diploma as Eric Holloway, president of MBC Staffing, and instructor Cole Warner watch during the graduation ceremony Tuesday at Lippert Components. The program was a partnership with Lippert MBC Staffing and Vincennes University. The program lasted six to eight weeks, and students received a hands on training.